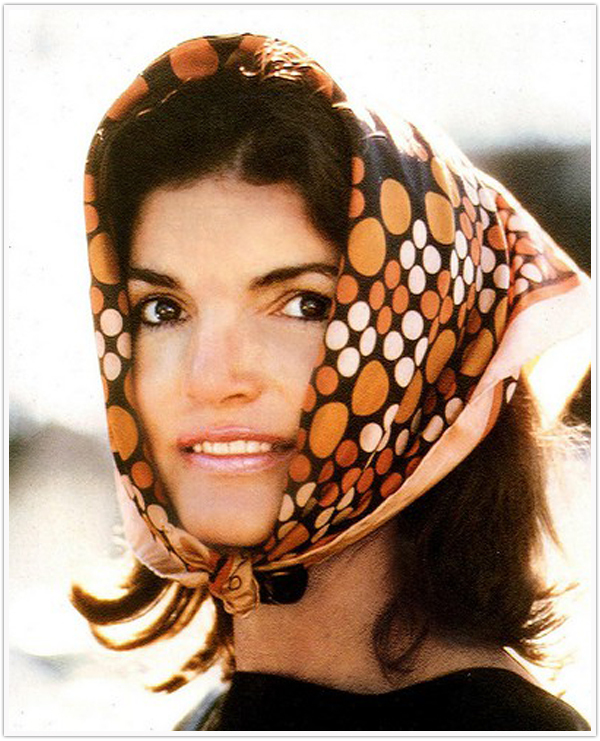 Ahh, Jackie Kennedy Onassis. A true all-American style legend. Her famous wardrobe, elegance, grace, and beauty are just a few of the things that drew the world in. 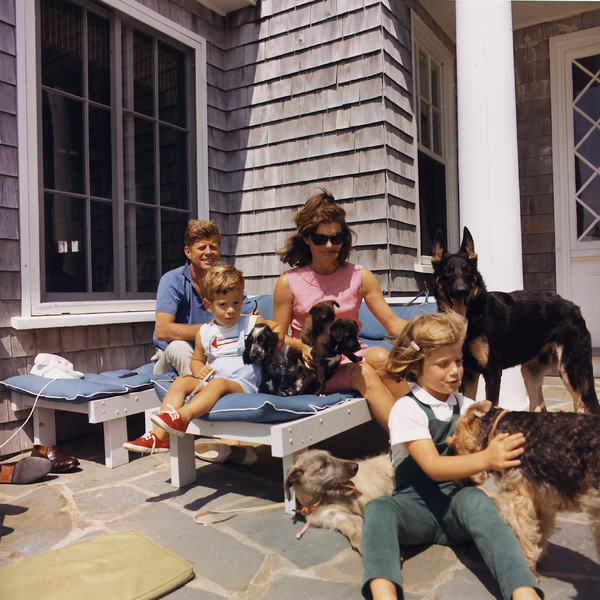 Best known as the First Lady to President John F. Kennedy, the nation fell in love with Jackie and their two children, John Jr. and Caroline, almost instantly. 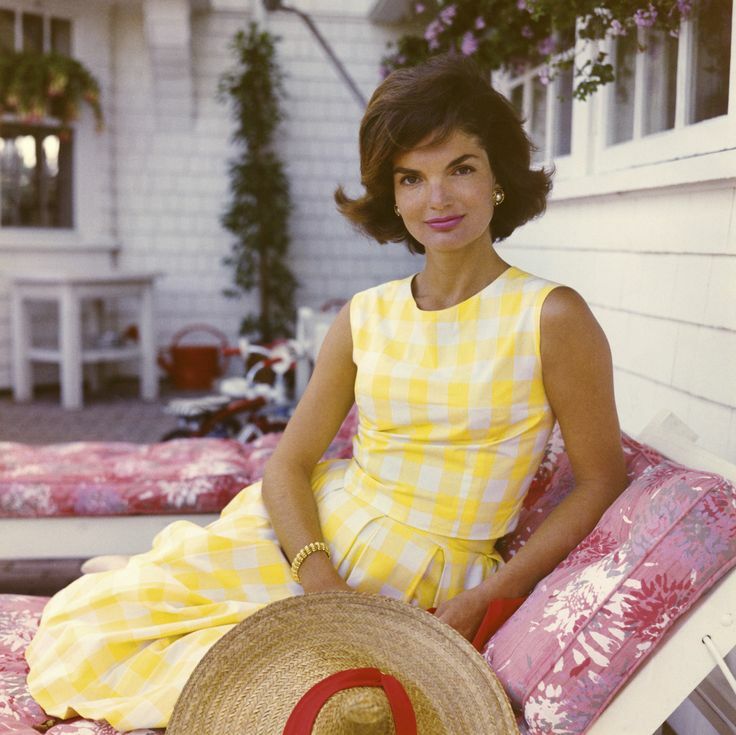 A devoted mother and role model to many, during her years in the White House, Jackie was known for her bright, solid-colored dresses and suits. 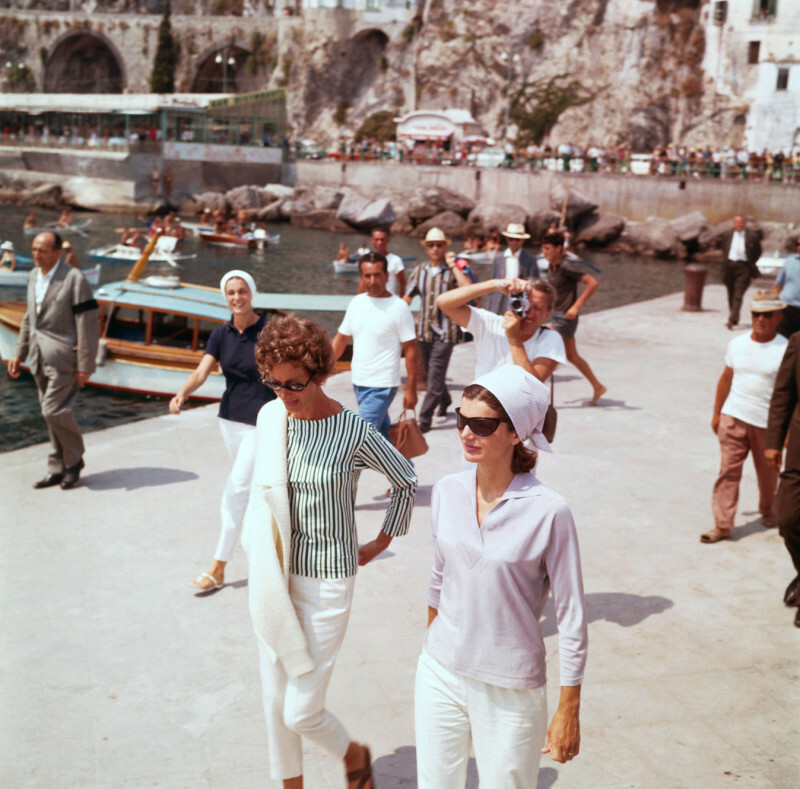 During the Onassis years, her take on fashion was more jet-set chic. 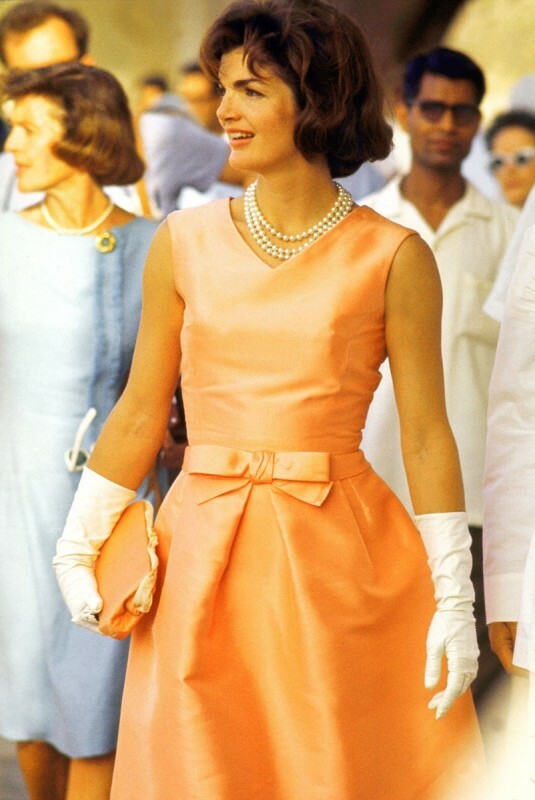 As we look back here, we notice Jackie’s style was actually quite simple and classic, usually consisting of black and white, which is why it’s perhaps still imitated so many years later. 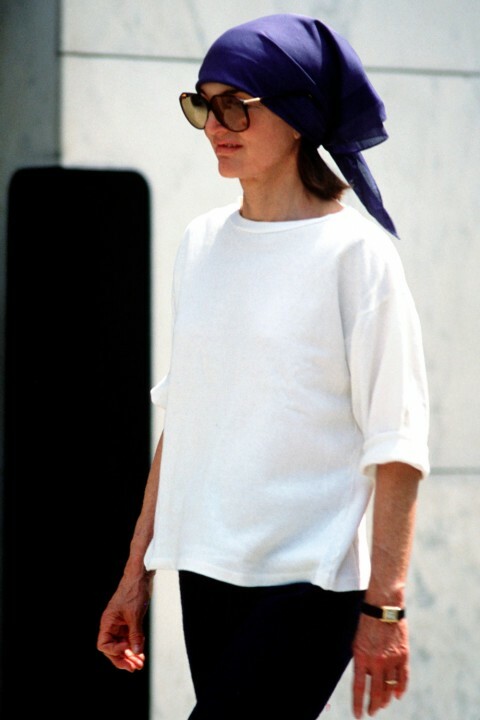 Think about it: Her trademark pieces, such as the oversized “Jackie-O” sunglasses, head scarves, three-string pearls, and her pillbox hat, all still have a place in fashion. Now, enough talking, let’s take a stroll down memory lane and get all nostalgic about one of our biggest Mother Style Icons. 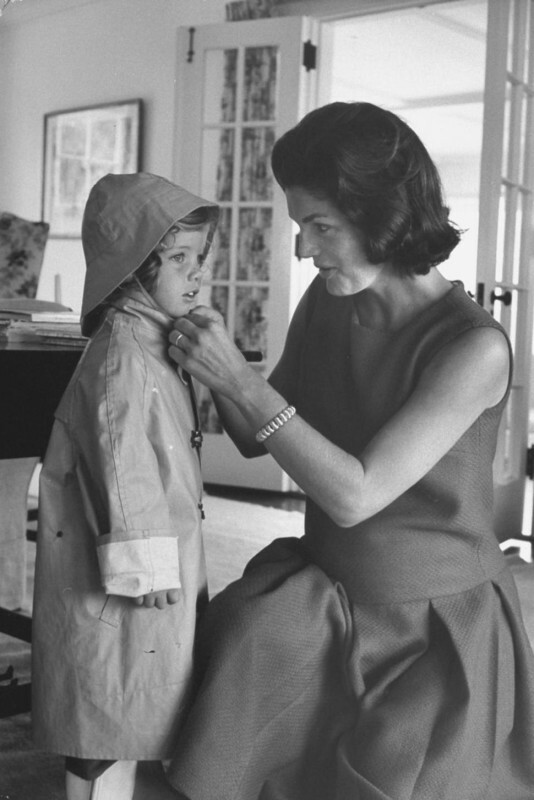 Jacqueline Lee Bouvier was born in Southampton, New York, in 1929. 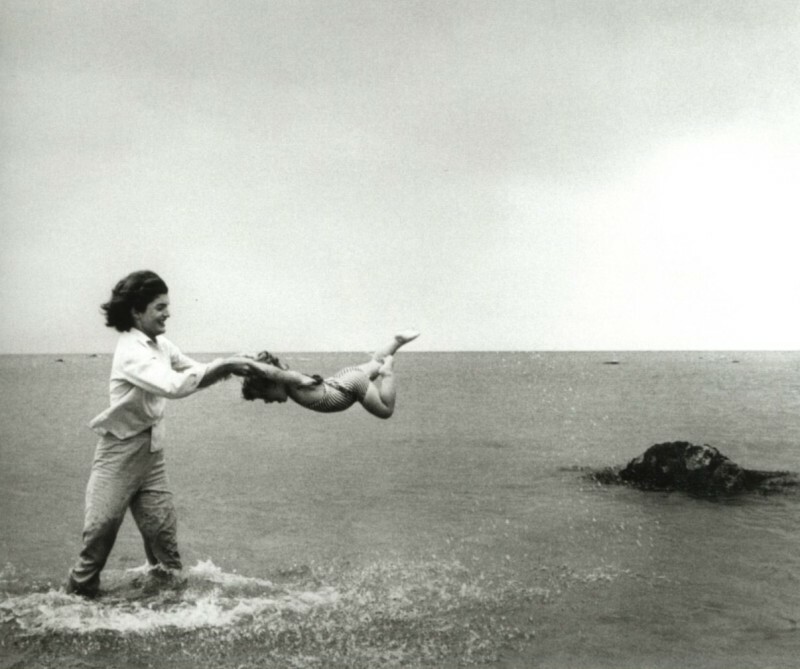 "There are many little ways to enlarge your child's world," Jackie once said. "Love of books is the best of all." 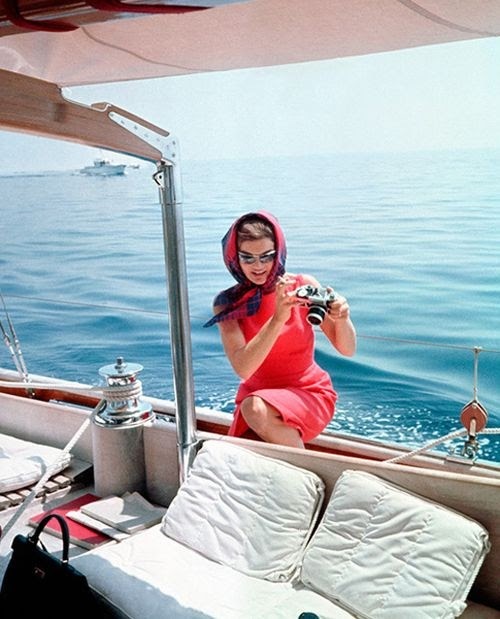 Jackie donned her signature sunglasses with almost everything she wore. They completed her outfits by adding a touch of glam. She continued to wear them long after she was in politics. She often said she "liked the opportunity they gave her to watch people". 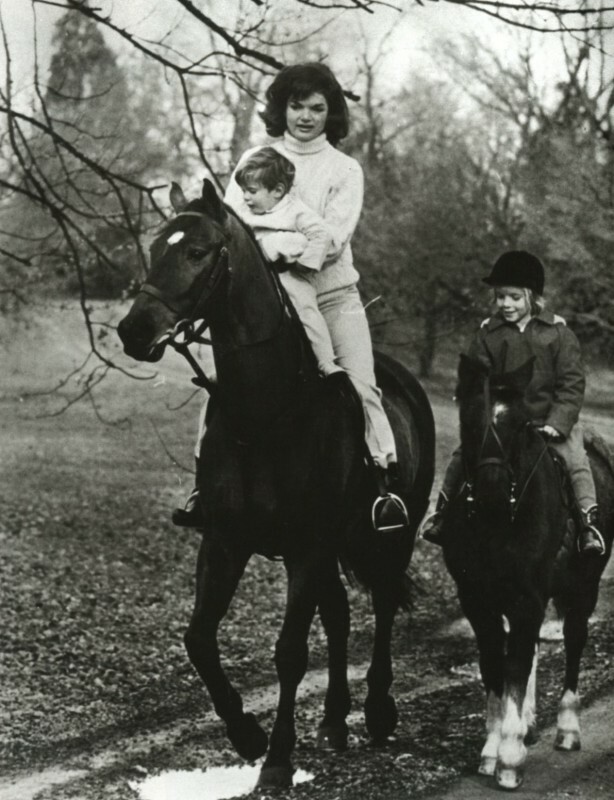 Jackie became a lover of horse-riding at a very young age. It became a passion of hers in which she excelled. 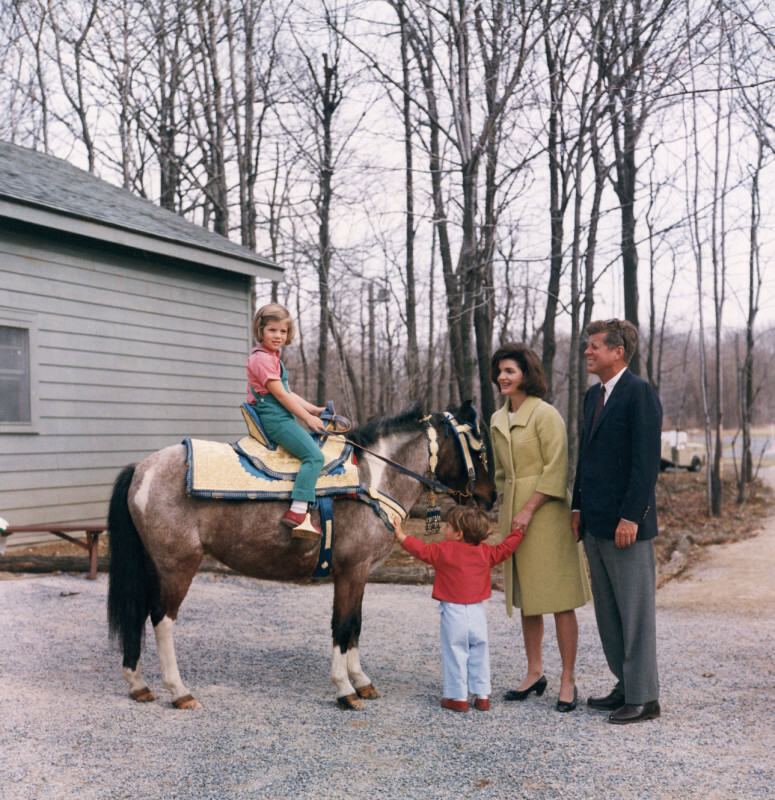 Even years down the road, riding always brought Jackie a sense of peace and privacy amidst the pressure of being the First Lady. 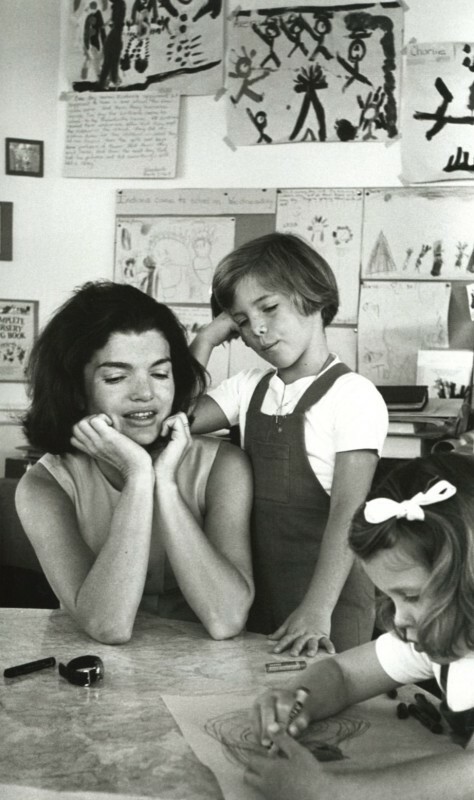 "I'll be a wife and mother first, then First Lady," said Jackie. 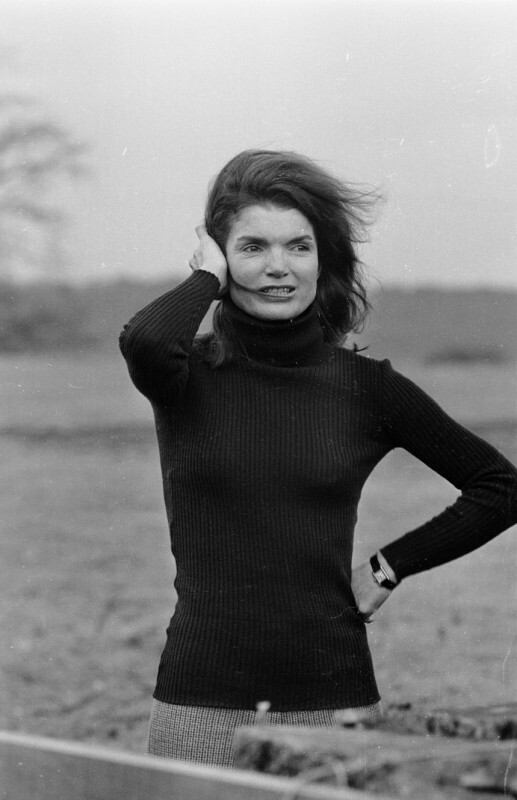 Jackie became a trendsetter for exposed shoulders, a bold and risky move being the First Lady. Always worn tastefully, she donned sleeveless dresses and tops with simple accessories. What was once a fashion faux-pas in the 60's, quickly became a fashion must! 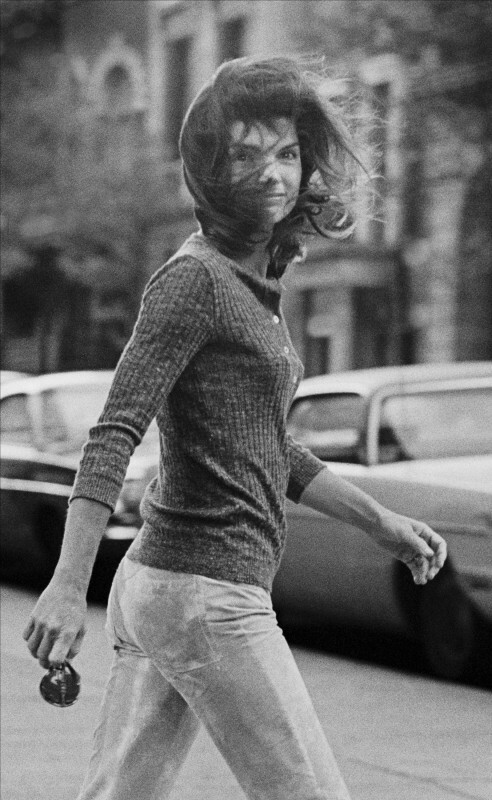 Jackie had one specific rule when it came to fashion: To keep things simple and that less is more. Her style was clutter-free and timeless. She definitely gave off the impression that you don't need to own fancy clothes to exude elegance. 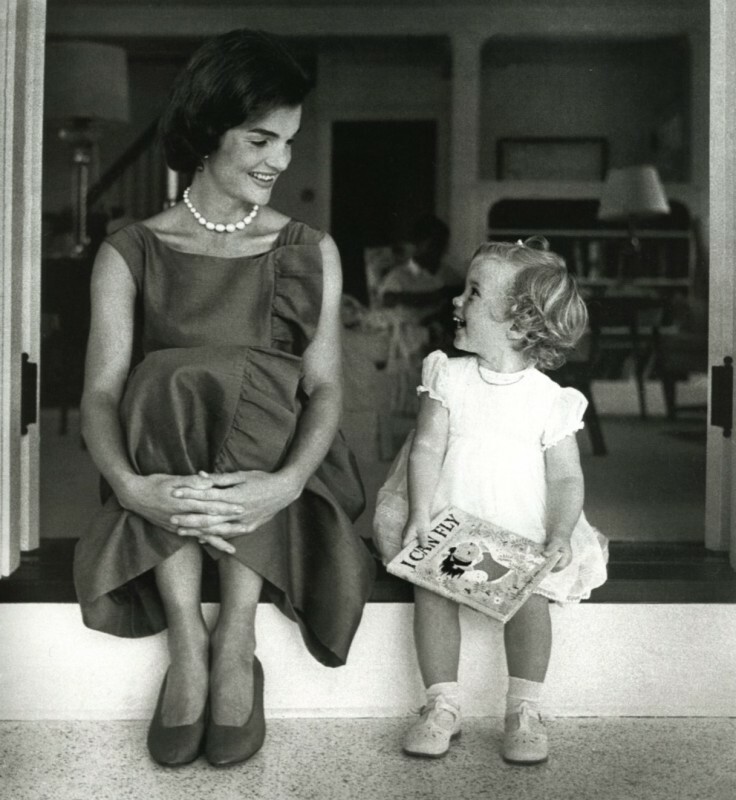 During a Mother's Day speech, Jackie's daughter Caroline stated that her mother was a woman of great courage and commitment who worked so hard. "I feel so fortunate to have had such great role models, and I hope that I have been able to pass some of the lessons they taught me on to my children," she said. 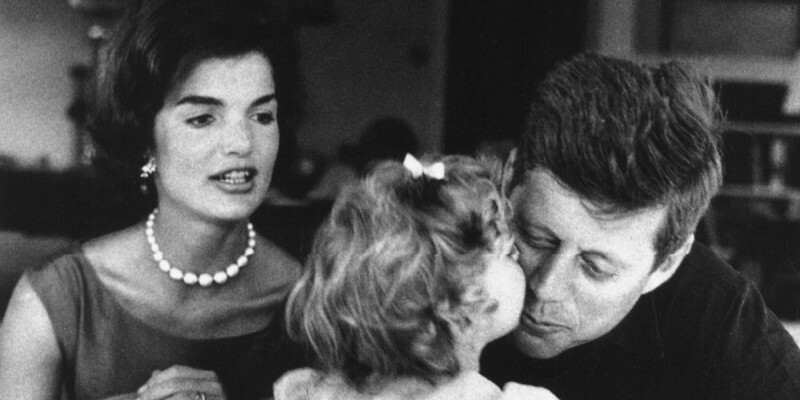 Jackie met Congressman John F. Kennedy at a dinner party where they were formally introduced by a mutual friend. 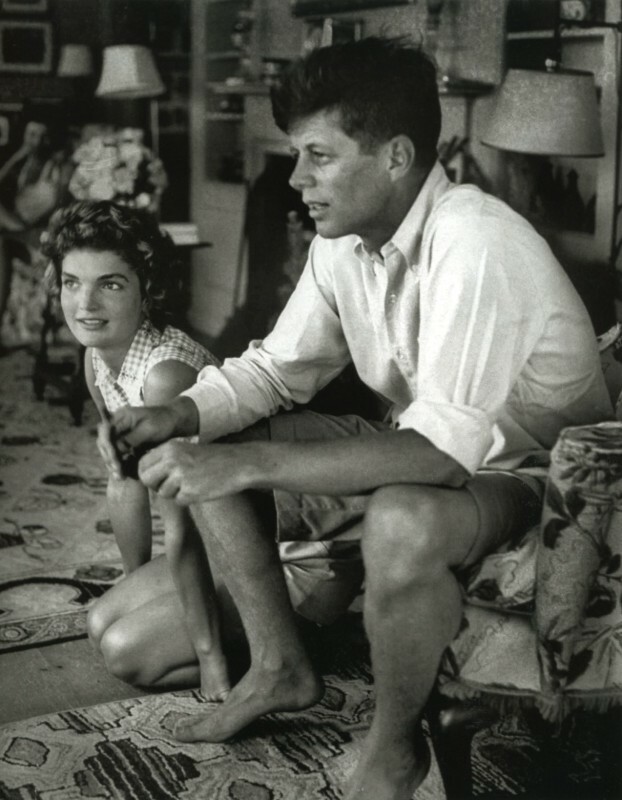 The two hit it off so well that after the dinner, JFK asked Jackie out for a drink. The rest is history and their engagement was officially announced on June 25, 1953. 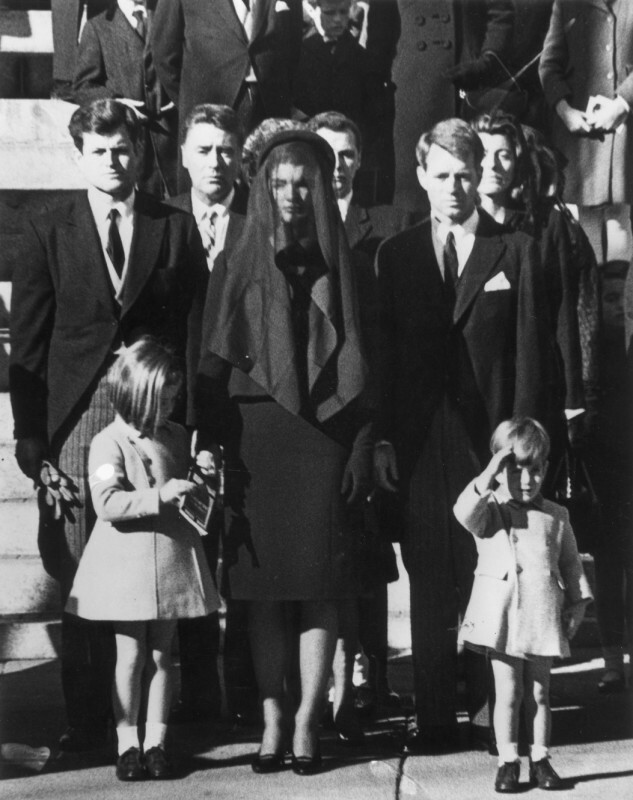 Following the assassination of President John F. Kennedy and later, his brother Robert F. Kennedy, Jackie began to fear for the safety of her children. 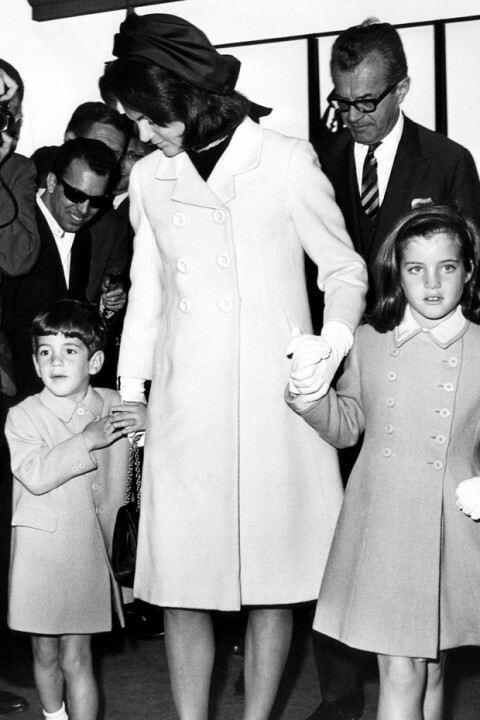 She fled to Greece with Caroline and JFK Jr. and married Aristotle Onassis, a wealthy Greek shipping magnate, who provided Jackie and her children with the privacy and security they needed. Jackie birthed four children. In August 1956, she gave birth to a stillborn daughter who she named Arabella. In 1963, she also gave birth to a baby boy, Patrick, who died from Hyaline membrane disease two days after his birth. 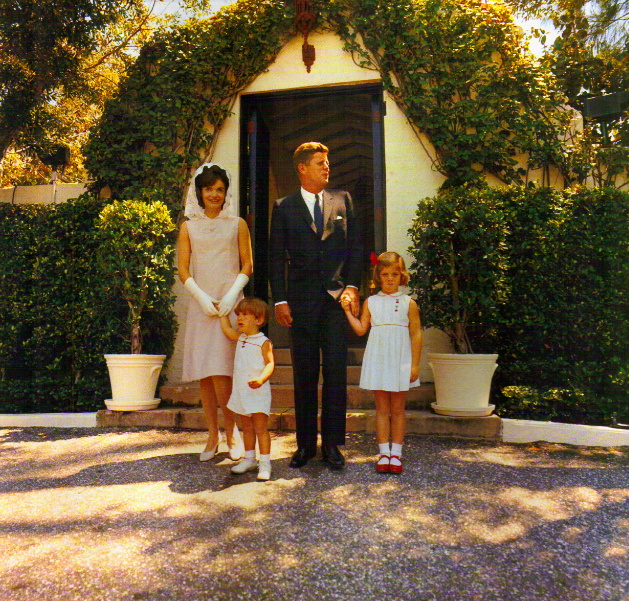 Jackie and President JFK had two children who survived to adulthood, Caroline Kennedy and John F. Kennedy Jr.
Celebrity hairdresser Kenneth Battelle was the mastermind behind Jackie's signature 60's bouffant hairdo. Some of his clients ranged from Audrey Hepburn to Judy Garland and even Marilyn Monroe. Jackie was an avid world traveler. She was always making trips to Paris, Italy, Vienna, and Greece and spoke several languages fluently. "I think my biggest achievement is that, after going through a rather difficult time, I consider myself comparatively sane," said the survivor of much tragedy. When Jackie became an editor in the early 70's, she knew that she wanted Frank Sinatra to be her first autobiography target. 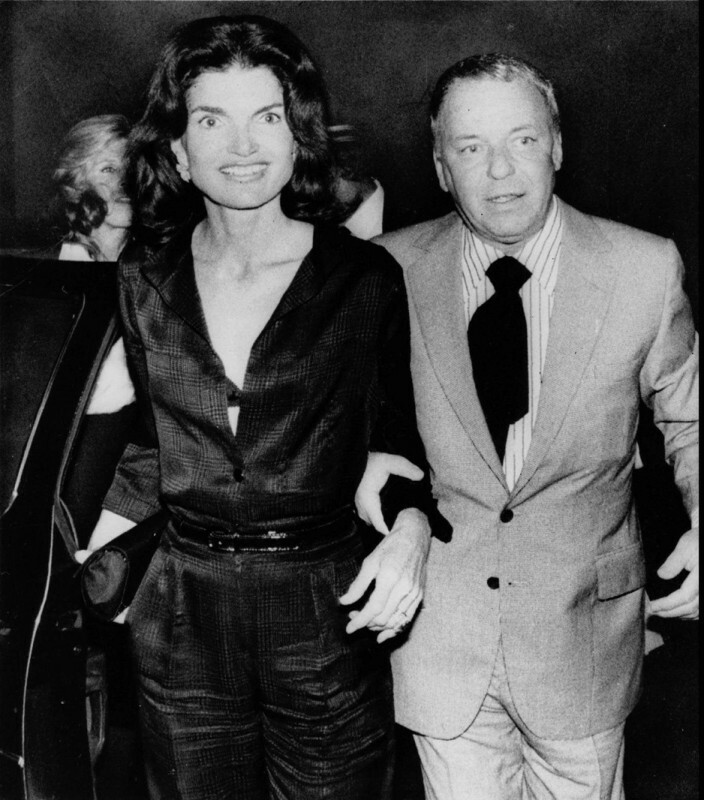 Here, Frank is pictured escorting Jackie to the 21 club in New York in 1975. 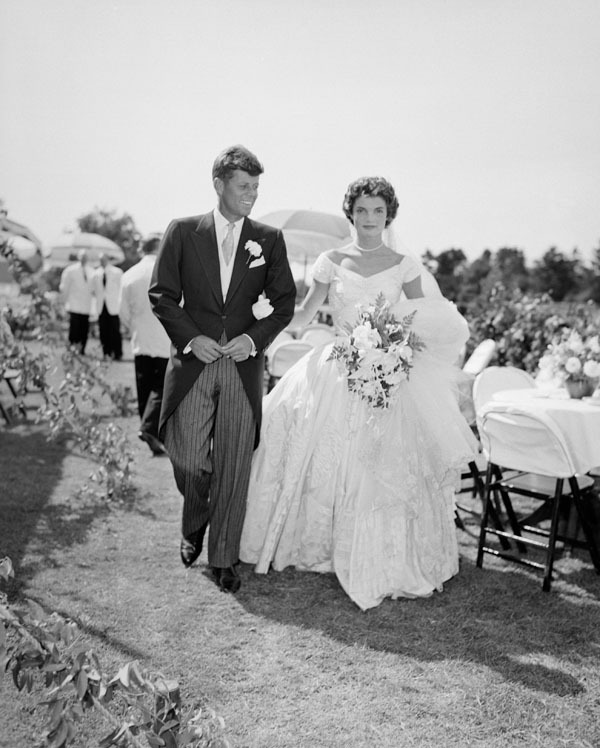 A scene from the Kennedy-Bouvier wedding in Newport, Rhode Island, 1953. 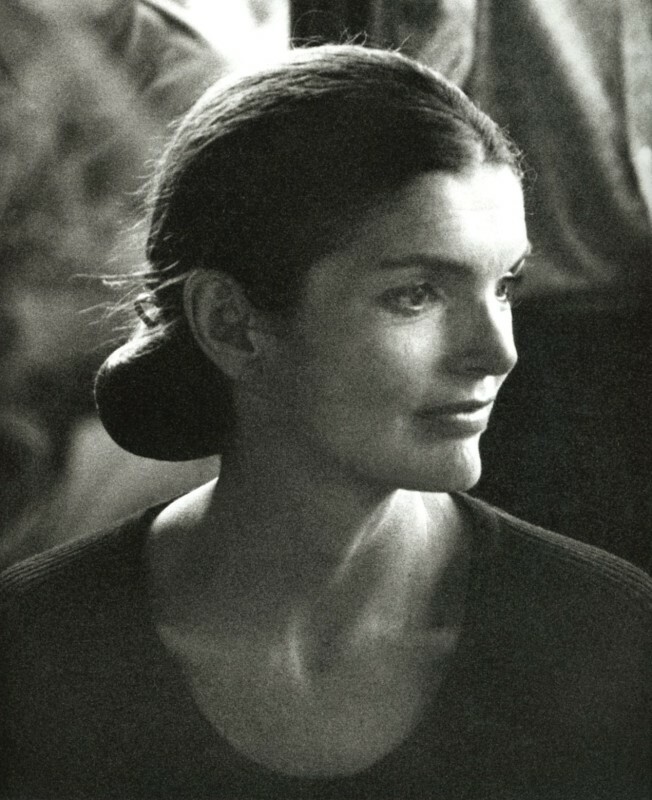 "There's never been a First Lady like Jacqueline Kennedy," said historian Douglas Brinkley, "Not only because she was so beautiful, but because she was able to name an entire era 'Camelot' ... no other First Lady in the 20th century will be able to have that aura. She's become an icon." 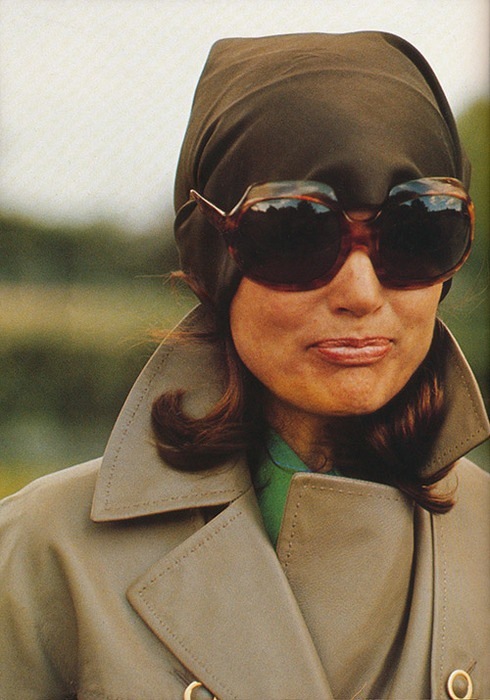 Jackie's famous pill pox hats were created by American fashion designer Halston, who once commented on her large head. 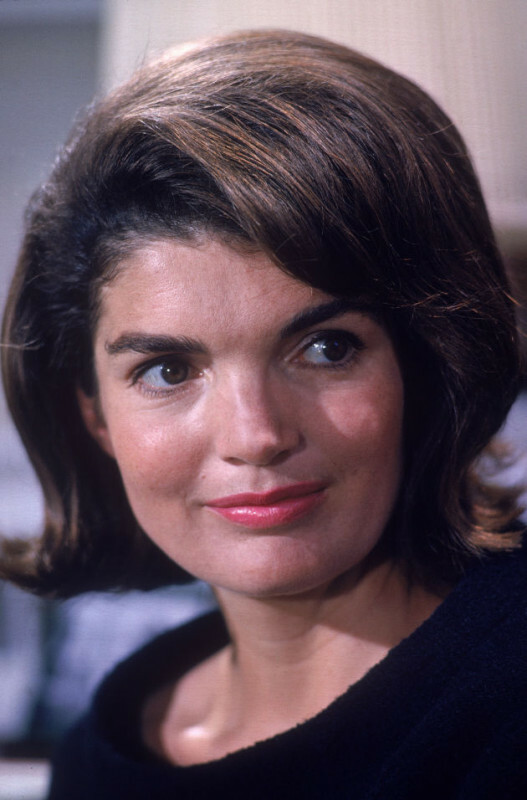 "The one thing I do not want to be called is First Lady," said Jackie. "It sounds like a saddle horse." "The children have been a wonderful gift to me, and I'm thankful to have once again seen our world through their eyes," Jackie once said. "They restore my faith in the family's future." Before she met JFK and became First Lady, Jackie was the “Inquiring Camera Girl” for the Washington Times Herald and covered events like the inauguration of President Dwight D. Eisenhower and the coronation of Queen Elizabeth II. "I think the best thing I can do is to be a distraction. A husband lives and breathes his work all day long. If he comes home to more table thumping, how can the poor man ever relax?" Jackie once said. Jacqueline Kennedy is shown here with a CBS reporter during her television tour of the White House in February 1962. She was awarded the Academy of Television Arts and Sciences Trustees Award for her CBS-TV tour during the 14th Annual Emmy Awards in 1962. "Everything in the White House must have a reason for being there," said Jackie. "It would be sacrilege merely to 'redecorate' it—a word I hate. It must be restored—and that has nothing to do with decoration. That is a question of scholarship." 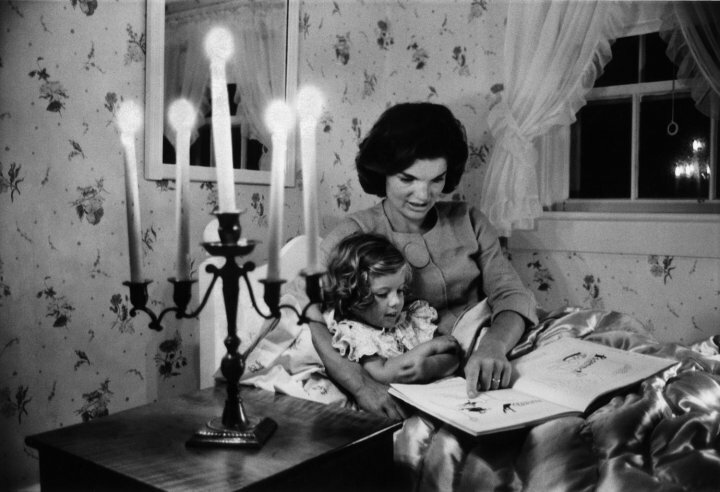 Jackie was known for leading the effort to establish a kindergarten and children's library in the White House. For over forty years, Jackie was an three-pack-a day smoker. She finally quit smoking due to the insistence of her daughter Caroline. 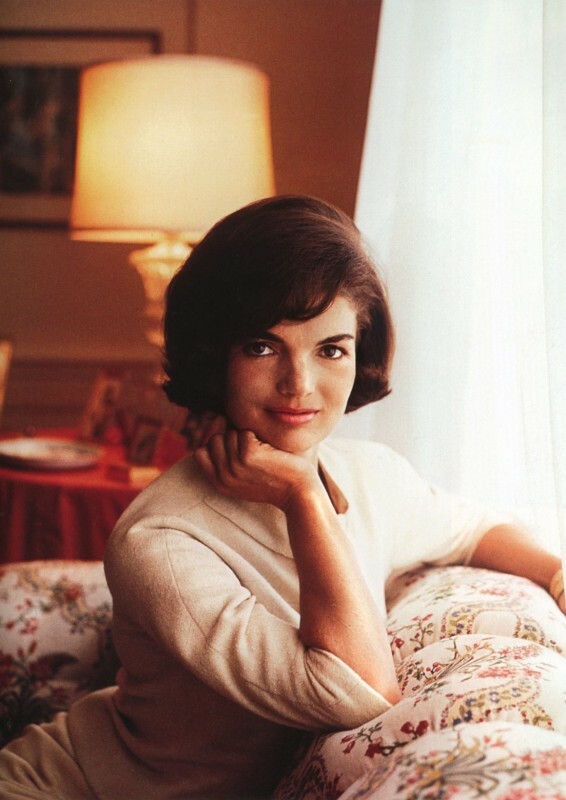 In early 1994, Jackie was diagnosed with cancer that sadly led to her death in May, 1994. She died at the young age of 64, but knew that she had lived a great life. 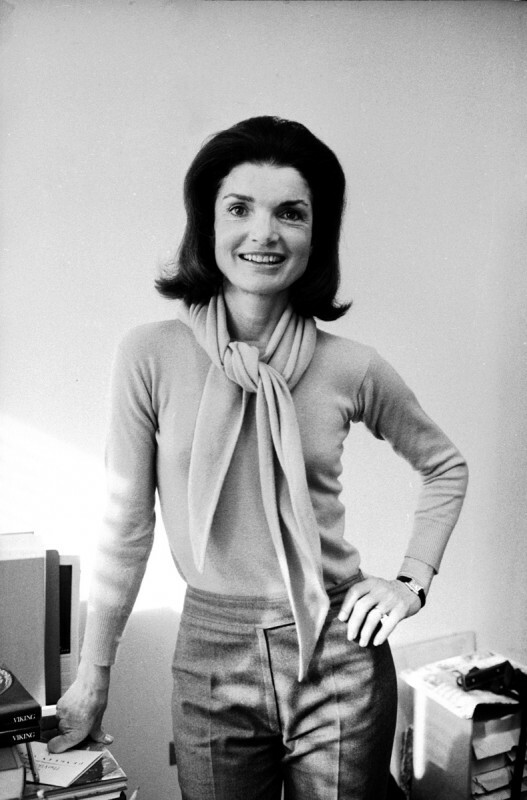 "What is sad for women of my generation is that they weren’t supposed to work if they had families," said Jackie. "What were they to do when the children were grown—watch raindrops coming down the windowpane?" 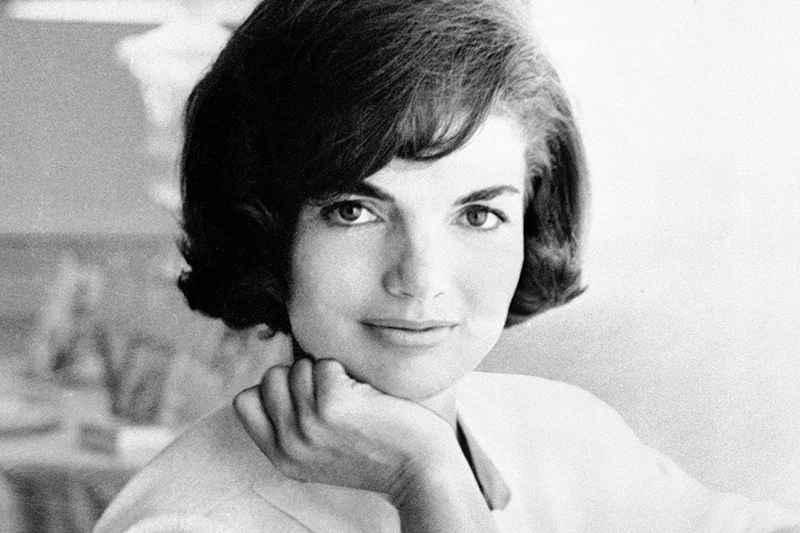 During the final couple decades of her life, Jackie had a career as a book editor (editing over 100 books) and a preservationist. She is remembered for her love of the arts and for the preservation of historic architecture, mainly in restoring the White House's historical and American furniture. Her style, elegance, and grace are also to never be forgotten. 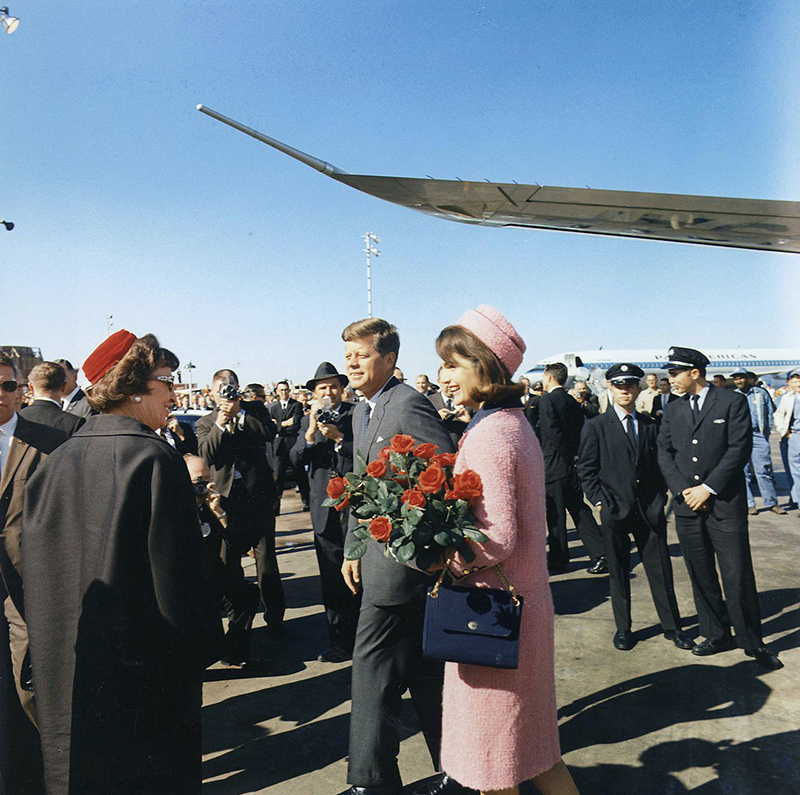 Jackie wearing her iconic pink suit at Love Field in Dallas, just 30 minutes before the tragic assassination on President Kennedy. He requested she wear this suit because it was a personal favorite of his. "I should have guessed that it would be too much to ask to grow old with and see our children grow up together," said Jackie. "So now, he is a legend when he would have preferred to be a man." 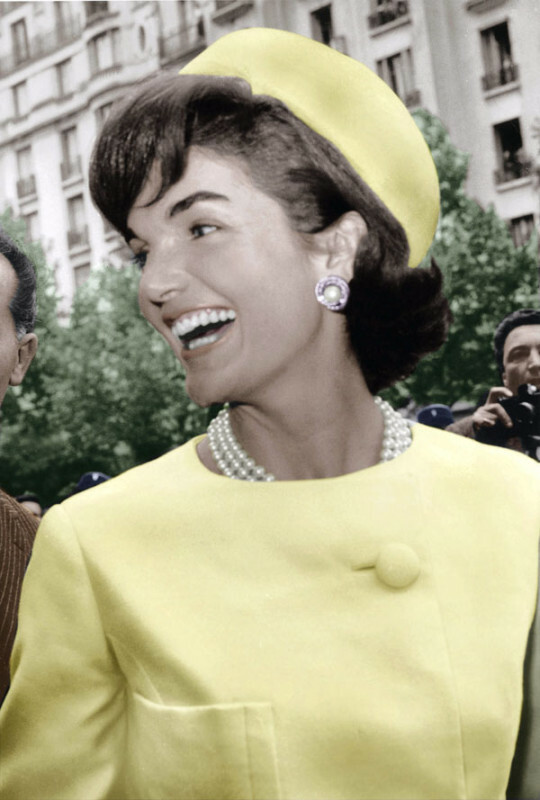 Jackie Kennedy Onassis was the first First Lady to have her own social secretary and fashion designer. 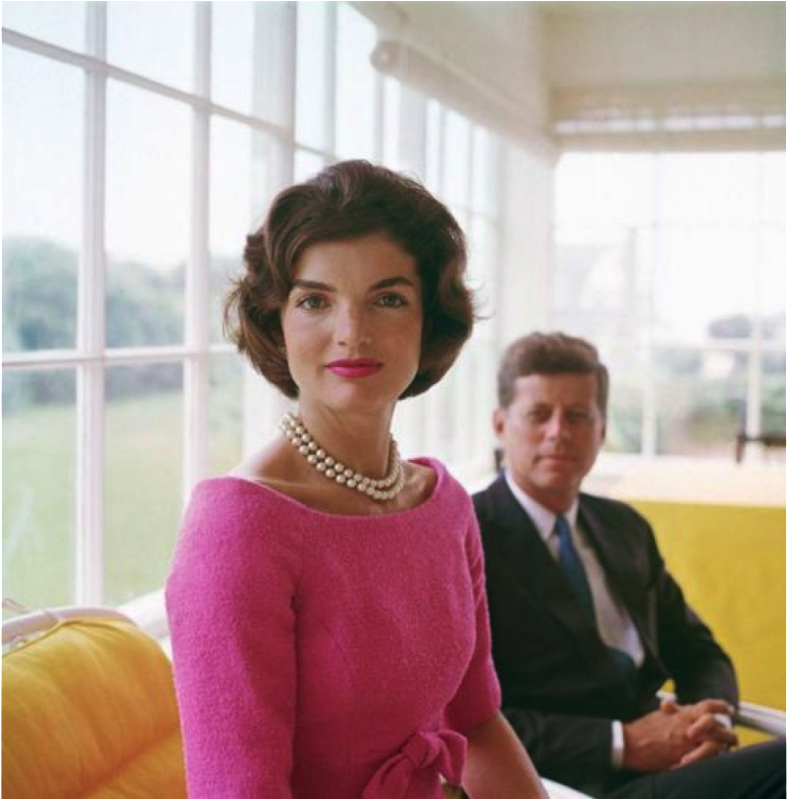 Along with her large glamorous sunglasses, Jackie made the three-strand pearl necklace a signature trend that women still love today. These faux pearls would go on to sell for hundreds of thousands of dollars at auction. Young JFK Jr. (on his third birthday) saluting his father, assassinated President John F. Kennedy in Washington DC. 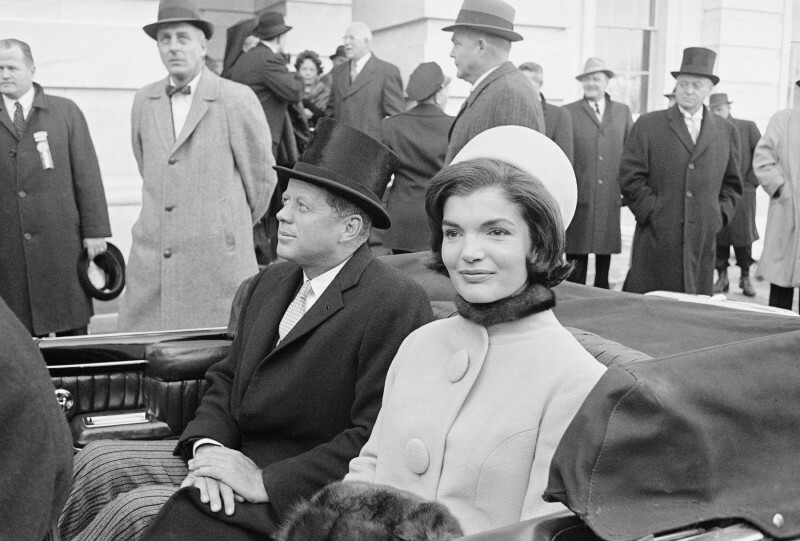 In the aftermath of President JFK's death, Jackie provided a metaphor for her late husband's administration. Today it still remains an enduring symbol: Camelot, the idyllic castle of the legendary King Arthur. 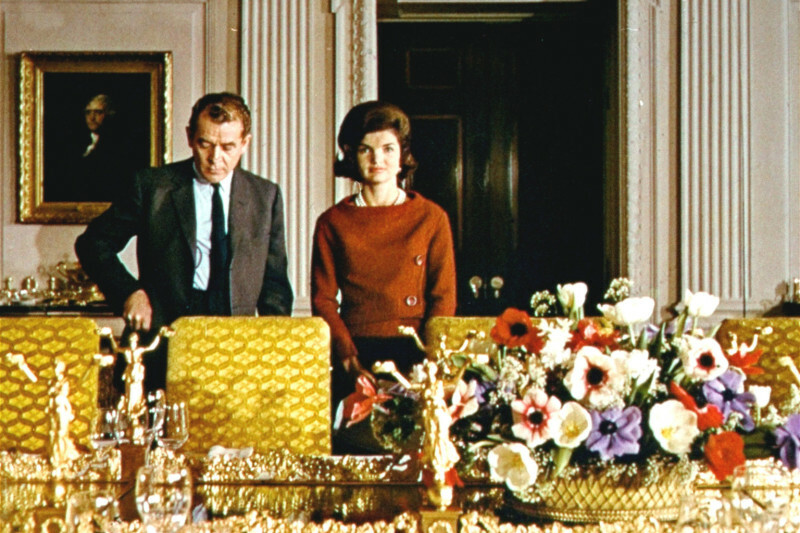 "There'll be great presidents again," said Jackie, "but there'll never be another Camelot again."